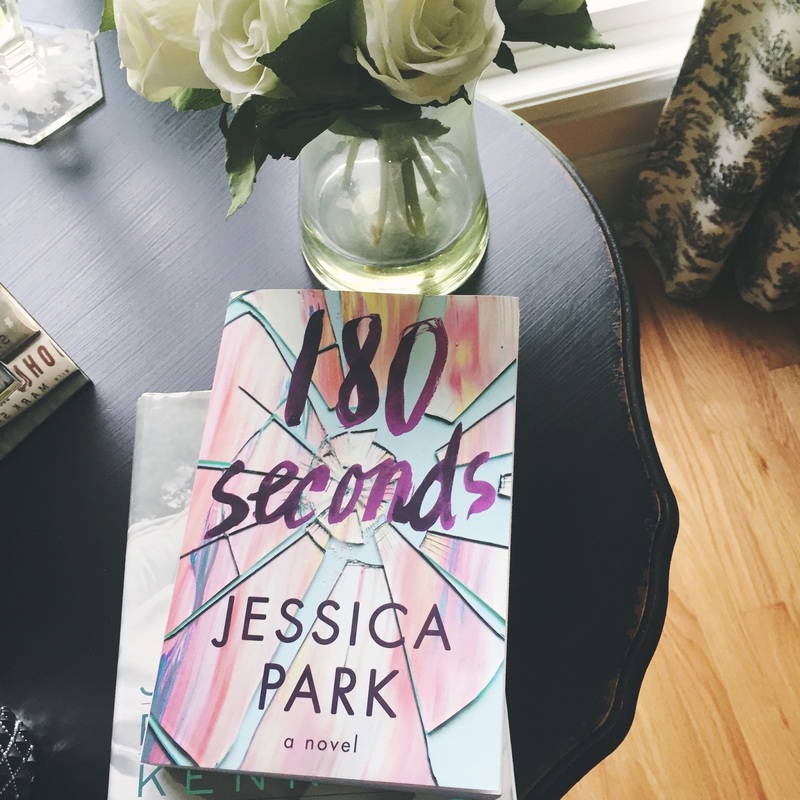 Things I've been reading: I have a whole post coming next week about some other YA books that I've read, but since I have 180 Seconds by Jessica Park sitting in front of me at this very moment, I figured I'd talk about this one first and save the other three for an upcoming post (oooh, the suspense). I picked this book up on a friend's recommendation and it took me a while to start it because I had stacks and stacks of library books that I needed to get through first. The time finally came on Saturday night and I did what I do best and finished it in one sitting. Allison Dennis had been in foster care her entire life, switching between families until she settled in with Simon when she was sixteen who adopted her. Because of her history, Allison has trouble letting people in, keeping her walls sky high for everyone besides her best friend Steffi, her foster sister at one time. Even going into her second year of college, Allison struggles to be friendly with people, preferring to keep to herself to avoid making connections and getting hurt. One day when she's trying to enjoy a day to herself off camps, she's pulled away from her walk, thrust a release form to sign, and ends up sitting across the table from somebody she had met one campus that week in an unfortunate coffee spilling accident. The purpose? To stare at each other for three minutes straight–180 seconds–without breaking eye contact. At the end of their three minutes, the guy kicks the chair he's sitting in and flips the table out of the way so he and Allison can kiss. Y'all, the way I just described that does not in any way make this sound as exciting as it was reading it. I digress, the guy ends up being social media star Esben Baylor. He's an internet "do-gooder" and frequently makes videos and does favors for people to put good out in the world instead of bad. He's also mega-hot, so you know, that's nice too. After this video goes live, the internet (and campus) get interested in Allison and Esben. Are they a couple? Have they seen each other again? That kiss was perfect! It's overwhelming for Allison, so she pushes Esben away...for as long as she can. Overall, this is one of my favorite books that I've read this summer. Maybe I'm looking in the wrong places, but I struggle to find YA books that are based in college. I don't mind reading YA books about high school, it's fine, I just feel like I relate more to the books where the characters are a bit older. Things I've been listening to: Well, I just posted my August playlist yesterday, so I think it's fair to say that anything listed on there I've been loving. If I'm being completely honest though, I haven't added anything to that playlist this week. Sometimes I forget to save songs on Spotify that I know I like and search for them instead, which seriously defeats the purpose of the save option. I saw the Arkells a couple of weeks ago which was an experience in itself. I appreciate any band that allows me to 80s dance to a majority of their songs, so thanks for that one guys. More specifically, I've been jamming to "Dirty Blonde," "11:11," and "Book Club" more often than not. And you can't forget "Systematic," which they actually played at the show and I thought that they wouldn't. What great dudes. I'm also still going strong with "There's Nothing Holdin' Me Back" by Shawn Mendes. So...don't judge me on that one. What a tune. What. A. Tune. I can't get sick of it, it's physically impossible. Things I've been wearing on my face: Okay, it's still nothing, but I've put makeup on a few times in the past couple of weeks! In a drugstore post I did a month or so ago, I picked up a Maybelline concealer and don't think I talked about it after that. I actually really like it! My mom also liked it so much that she went and picked up her own tube after stealing mine out of my drawer for weeks. I use it to cover my lingering red spots, she uses it on her under eyes circles. It's thick, but not too thick to blend out. It's the perfect consistency for smooth and heavy coverage without the stiffness or impossibility of blending. 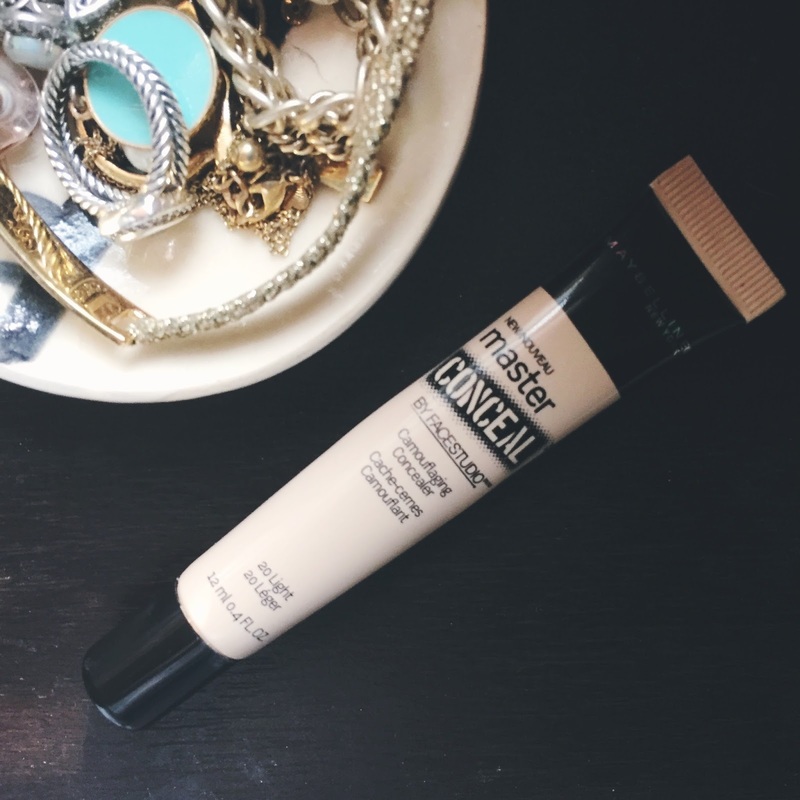 So, if you're looking for a medium to full coverage drugstore concealer, take a look at the Maybelline FaceStudio Master Conceal. Just be aware that their color selection is awful, which is my biggest complaint.